My offensive philosophy is that we utilize our pass and screen game to set up the run. This has worked well for us and we always outnumber the defense in the box. Once we start running the football effectively, obviously our play-action is much more effective. 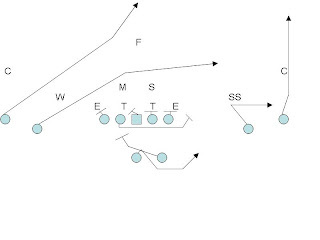 One of my favorite play-action looks in the spread offense is the bootleg. The concept of the play is simple and you can run multiple variations of the play without changing the core concepts.